Colorguard and Winterguard, or more simply, “Guard,” is a group of students that uses flags, mock rifles and sabres, and movement to express dynamic passages in a piece of music. “Spinning” is a common term used to describe the Guard members’ use of equipment. From August to October guard members rehearse and perform with the Wildcat Marching Band (westviewband.org) at Westview High school. We perform at home football games and compete against other local groups on Saturdays. We are sponsored by [http://nwapa.net/ ], the Northwest Association for the Performing Arts (NWAPA). 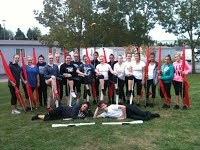 Fall Colorguard at Westview is a “no-cut” ensemble. We start training in August, realizing most people will have little to no dance or spinning experience we start training at a very basic level. Any student with an interest in guard who can commit to being part of a team is welcome to join. The Winterguard performs a visual routine set to recorded music. Rehearsals and performances take place indoors, most commonly in a gymnasium. The Westview Winterguard competes in regional competitions sponsored by [http://nwapa.net/ ], the Northwest Association for the Performing Arts (NWAPA). We will always start training at level zero. Auditions and rehearsals for the Westview Winterguard begin in late November or early December and the season stretches through late March or early April. In the spring, colorguard rejoins the band to perform at the Grand Floral Parade in June. The colorguard uses their smiles and swing flags to introduce the band as they perform through the streets of Portland. 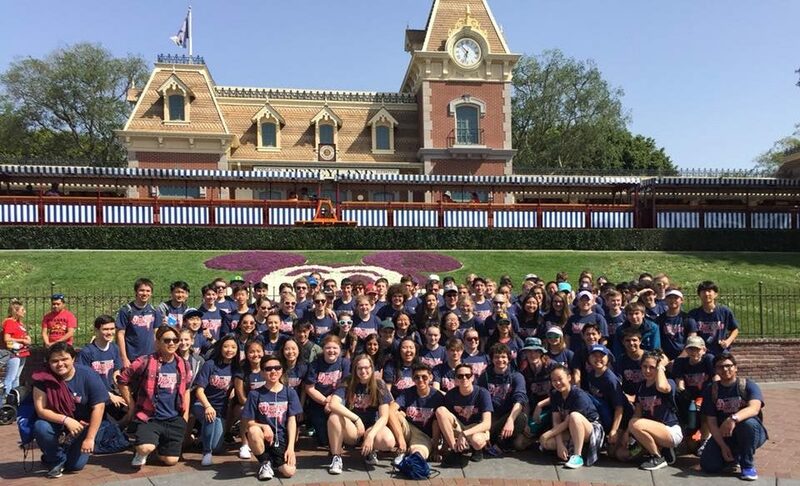 Westview also performs at a parade in Disneyland every 2 years. It is not necessary to have any prior training in dance to join the Guard. In fact, you need no previous experience at all. Interest, enthusiasm and commitment will earn you a spot on the colorguard team during any season. For more information contact us, show up to auditions or add us Saberina Flag on Facebook and get added to the interest group!